Summer style is always heavy on the bold and brights, but this year trends called for a flashback to 80’s electro-pop colors. So, we’ve taken all of your favorite sunny palettes and amped up the intensity to bring you flashy neon accents that will instantly liven up your little citizens’ outfits. Discover our new #trendingtea looks, designed to stand out. Spring Break has come and gone which means, pretty soon, summer will be upon us. Time to swap out the scarves for sunnies and head west where big swells, blue skies and endless ocean awaits. From the carefree surfer culture of SoCal to Hawaii’s tropical aloha vibes, join us as we soak up the warm air and laid-back lifestyle of the West Coast. Spring is here, which means families everywhere are getting ready to suit up for spring break! Whether you’re headed somewhere tropical or sticking around town in hopes of catching some backyard rays or a little sprinkler fun, we’ve got everything you’ll need to outfit your little citizens in style. Muggy, marshy and mysterious, the Bayou is home to an abundance of wildlife. 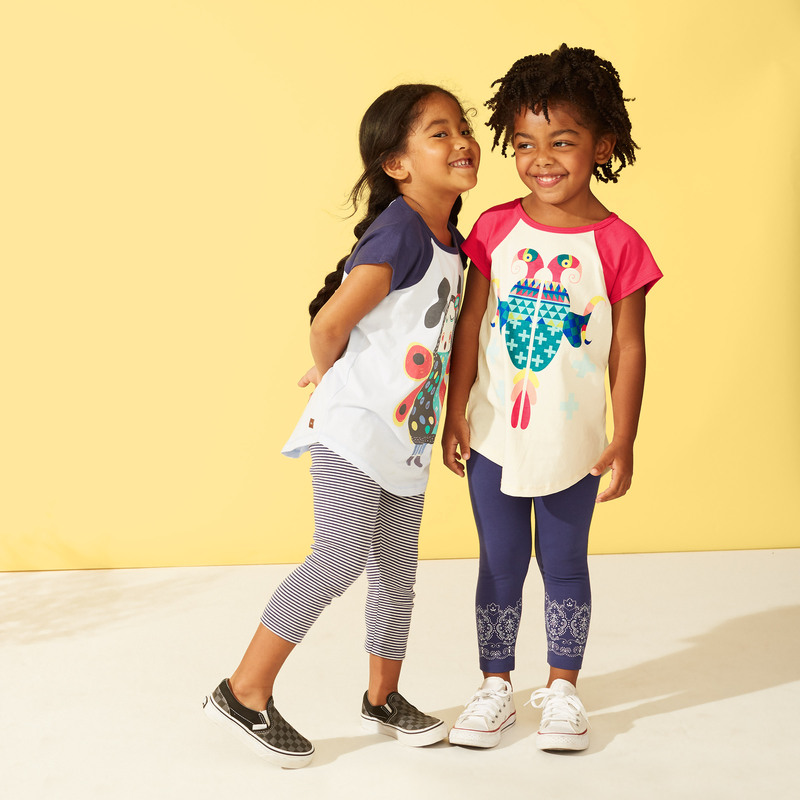 From pelicans and cranes to the fierce gator, our newest spring graphic tees feature some pretty adorable animals that we know your little citizens will love. There’s something truly magical about New Orleans that captivates the hearts of all who visit. Maybe it’s the southern hospitality and Parisian ambiance, or that the streets are always dancing with the sounds of soulful beats and the smell of Creole spice and hot jambalaya… or perhaps it’s the revelry that ignites the city come any big win or celebration. There’s this ‘anything goes’ attitude that makes you feel right at home. And just to make sure you feel extra welcome, the city allows anyone to throw their own welcome party parade! All you need is a quick permit, a brass-band and the perfect parading ensemble. The United States is home to a unique blend of cultures, each one with its own set of stories to tell. Indigenous tribes share a particularly rich oral tradition. Like many cultures, they’ve used storytelling to help explain the world around them. When science was not as advanced, ancient peoples often explained events like natural disasters as the work of the Great Spirit or the powerful connective forces of mother nature. Though cultures and customs vary across hundreds of indigenous American nations, one thing they share in common is their belief that the universe is bound together by spirits of natural life—animals, plants, water, wind, sky, and even the Earth itself. From powerful Hopi warrior spirits to the brave Cherokee water spider, let’s learn more about the empowering legends behind this season’s Native Artists graphic tunics and tees. It’s always exciting to explore new places, and when you stay curious, you can find adventure just down the road. 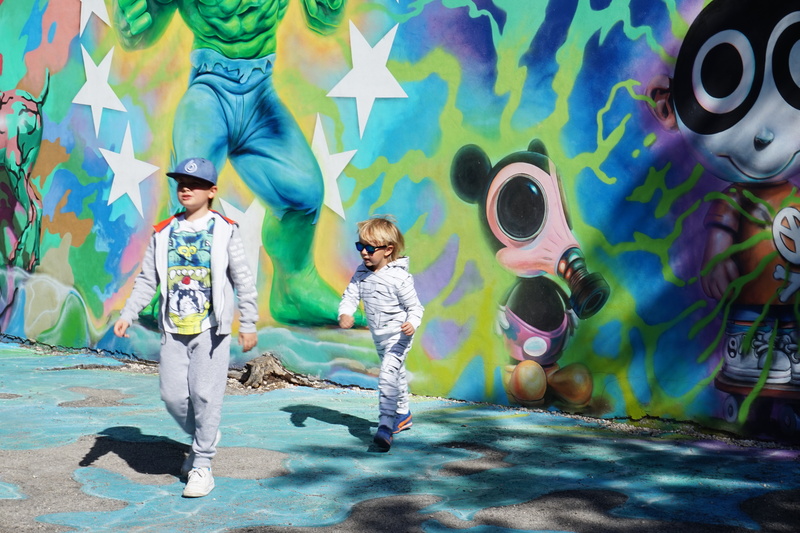 Spend the day strolling the streets of Miami and you’ll be amazed to find art in the most unexpected places.